March is the time to let your creative talents soar. Take time to audition for the lead role in a school play, finally hit that high note in music class, write the next award-winning short story, or dance your way to the top. We here at Amazing Kids! love to see readers like you follow your dreams to wherever they may take you. Ava Kolker has been following her dream since she could walk! The 8-year-old rising actress lights up both the big and the small screen. She is currently on the much-loved TV sequel Girl Meets World. Keep reading to find out more about Ava’s acting journey and how your dreams don’t have to wait for you to reach adulthood! 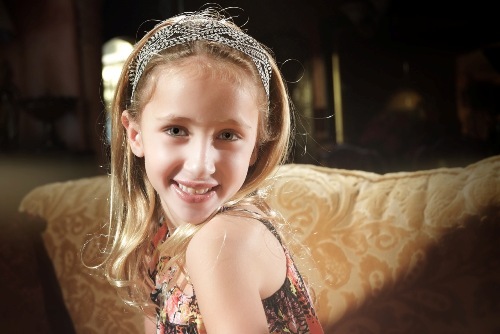 Ava Kolker, 8-year-old superstar, is making her dreams come true now! Ava got her acting start at the age of 4-years-old on a set far different from the Disney Channel shows she grew up watching. “I booked my first role on American Horror Story,” Ava said. Her character was that of a 3-year-old girl. In only a few short years, Ava built up her acting resume, landing roles on TV shows and feature films. A few of these films include Scary Movie 5, Miss Meadows, and The Trials of Cate McCall. With favorite TV shows that consist of anything Disney Channel related, Ava may just be living every young person’s dream, now having her own reoccurring role on Girl Meets World. The sequel to the sitcom Boy Meets World follows Cory and Topanga Matthews’ daughter Riley and her friend Maya as they navigate the challenges of growing up. After being brought back to audition for a few of the roles on the show, including young Riley and young Maya, her outgoing personality left an impression and the show created a role just for her! Way to go Ava! Ava plays what she calls the “queen of sass” on Girls Meets World. Watch her Friday nights on Disney Channel. You can watch her play Ava Morgen Stern, the 6-year-old girlfriend of Auggie Matthews. “I’m very, very sassy and bossy,” Ava said about her character. Make sure to watch Girl Meets World Friday nights on Disney Channel to see Ava boss around Auggie and clash with Topanga. Dreams were made to not give up! The road to being an actor is no easy feat. It takes many pieces lining up just at the right time for a break to happen, one of those pieces being nailing those butterfly-in-the-stomach auditions. “It takes a lot of work,” Ava said. Luckily, she gave us some great advice. Whether your dream is to be the next actress, musician, all-star athlete, best selling novelist, or more, Ava’s three-step advice is perfect for you! “Keep following your dreams.” Ava is inspiring proof that dreams can come true for us young people. But it’s not enough to just wish for our dreams to come true. We need to keep actively pursuing them! “Don’t ever give up.” Not every audition leads to a starring role. A little rejection is part of the dreaming process. But sometimes that rejection opens new doors we never thought possible. After not landing the role of young Riley or young Maya in Girl Meets World, Ava was cast as a new character for the show inspired by her own personality! “Make sure that you are always having fun with your dream and enjoying it.” One thing that is great about following our dreams is that it leads us to our passions and helps us discover what makes us happiest. So set your goals right now! Don’t wait until you are all grown up. Work harder than you ever have before, but don’t lose sight of who you are or what makes you happy. For Ava that includes a long list besides acting on TV. We can’t wait to keep seeing Ava’s dreams and your dreams take off! Ava is born to be a star. She starts to say it with a big gesture above her head when she was two years old. She was always inventing a new situation and asking me to pretend and play her counterpart. I was not as good as she was and with big laugh, was teaching me how to play.